Mevadhashma offer high quality boiler spares parts of all kind of oem like Bhel, Cethar, Cvl, Thermax, etc etc. 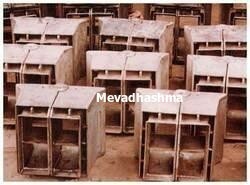 Mevadhashma supplies various boiler replacement components for different boiler types. We also supply non pressure parts and boiler spares to various of part of India. 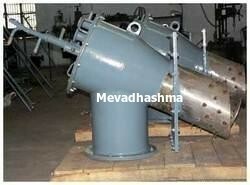 Mevadhashma also export the boiler spares. Boiler Spare parts manufacturer in India. Owing to our vast industrial experience in this domain, we are devotedly engaged in offering wide gamut of CFBC Boiler Spares. Provided boiler spare is offered in different specifications as per the requirements of clientele. This boiler spare is developed with the help of competent workforce using high quality raw material and leading technology. Offered boiler spare is high on demand among our patrons due to its indispensable features. We are an acclaimed name engaged in offering our precious clients a superior quality range of Coal Nozzle Tip that is supplied in bulk round the clock. Our given range of coal nozzle tip is manufactured in adherence with predefined guidelines & advance technology. We offered this coal nozzle tip in different specifications to our customers. This coal nozzle tip is valued in the industry owing to its optimum quality.